September 28th, 7:30 pm: Profound intent and purpose. Practices and contemplations whereby mindfulness when unified with Bodhicitta becomes a means to unfold great compassion and liberation. September 29th, 3:30 pm: Lama Mark will lead group sessions and teach on Phowa (consciousness transference), from the practice text called The Ruby Garland by the 19th century saint Lho Orgyen Nüden Dorje. 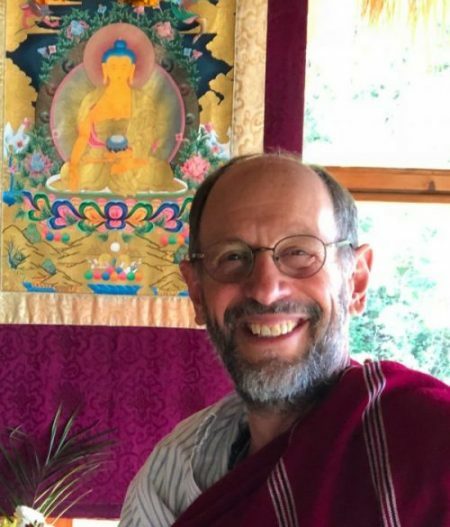 September 30th, 9:30 am & 3:30 pm: Lama Mark will lead group sessions and teach on Phowa (consciousness transference), from the practice text called The Ruby Garland by the 19th century saint Lho Orgyen Nüden Dorje. Registration costs: $65 to cover the expenses of hosting the teachings in Burnaby/Vancouver. Dana/Donations: Support for the teacher is given separately from the registration costs. Please give generously! 1555 MacDonald Ave., Burnaby, B.C.